Haggard's Black Dog Tavern Our records show that this inn is closed. Waterfall Bed & Breakfast Our records show that this inn is closed. B&B Durango Our records show that this inn is closed. Victorian Inn Our records show that this inn is closed. Elkstone Inn, Little House and Real Estate Our records show that this inn is closed. Farmhouse Village At Edgemont Our records show that this inn is closed. Blue Spruce Trading Post Our records show that this inn is closed. Scrubby Oaks B&B Our records show that this inn is closed. Tall Timber Our records show that this inn is closed. The Logwood B&B and Lodge Our records show that this inn is closed. Penny's Place Our records show that this inn is closed. Blue Spruce Retreat & Lodge Our records show that this inn is closed. Lightner Creek Inn Our records show that this inn is closed. Be Our Guest Our records show that this inn is closed. 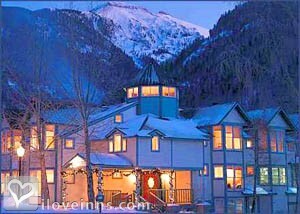 Durango bed and breakfast travel guide for romantic, historic and adventure b&b's. 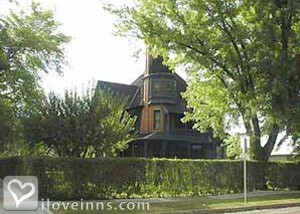 Browse through the iLoveInns.com database of Durango, Colorado bed and breakfasts and country inns to find detailed listings that include room rates, special deals and area activities. You can click on the 'check rates and availability' button to contact the innkeeper. Durango Colorado sits in the heart of the San Juan Mountains. People love Durango for its mild summers, beautiful winters, outdoor activities, history, and wonderful community. 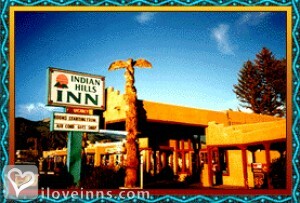 Attractions include: the Durango & Silverton Narrow Gauge Railroad, Mesa Verde and so much more. There is something going on every weekend in this town! By Strater Hotel. Durango is known for its outdoor activities, and the Durango Silverton Narrow Gauge Railroad. From rafting in the summer to skiing in the winter, and everything in between, you will not find a more exciting town to visit. By The General Palmer Hotel. Durango, Colorado is the destination for all seasons. Enjoy mountain biking, hiking, and rafting in the summer and enjoy skiing, tubing, and snowshoeing in the winter. If outdoor activities are not your cup of tea, Main Street is filled with charming local run boutiques. Or if history is what you enjoy, take a ride on the Durango Silverton Narrow Gauge Railroad, visit the ruins at Mesa Verde National Park, or learn about Durango people and places at The Animas Museum, The Durango Discovery Museum, The Center for Southwest Studies, or The Southern Ute Cultural Center. After your full day of sight-seeing enjoy a bit of entertainment at the Henry Strater Theatre, the Fort Lewis College Community Concert Hall, or local restaurant establishments, and take your pick from the many comfortable, casual dining locales to sophisticated, fine institutions of cuisine. By Strater Hotel. Durango Colorado offers guests an authentic taste of the West. From the Silverton - Durango Railroad to the Mesa Verde National Park, there is something for everyone. Rafting, horseback riding, hiking, fishing and skiing are all abundant in the area and a diverse experience is had by all who visit. The first settlers were drawn because of the rich gold deposits along the Animas River Valley of Colorado. At that time, trains were the vital means of transportation which allowed the people to bring supplies in and gold ore out. Perhaps much of the gold still remains, but the train is the big feature. Durango is the perfect place when you are looking for extreme outdoor adventures, with a large mountain biking community and the Iron Horse Classic bicycle race. In fall, be sure to stay during the Colorfest,a foliage related series of activities centered around the area's lavish displays of color. By Blue Lake Ranch.